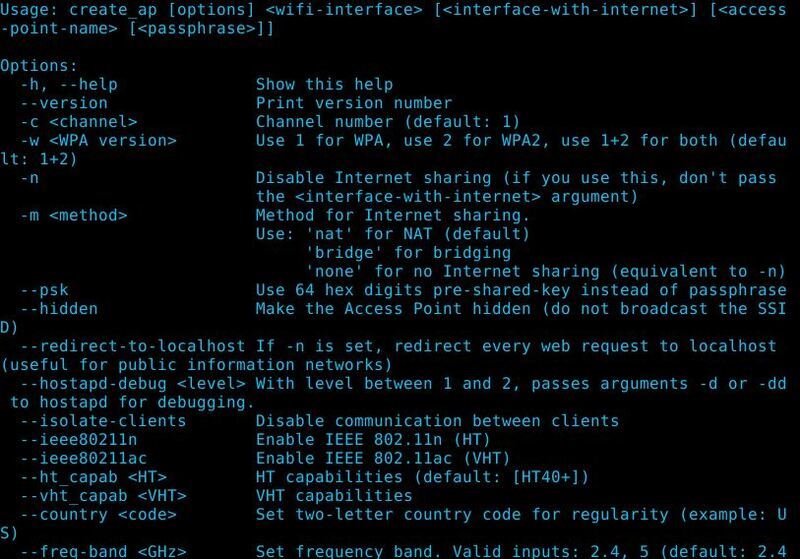 Browse: Home / create_ap v0.3 script for creates a NATed or Bridged WiFi Access Point. 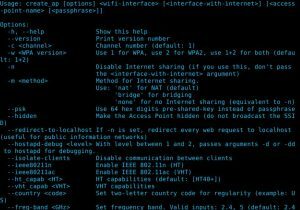 create_ap is a script for creates a NATed or Bridged WiFi Access Point. * Create an AP (Access Point) at any channel. * Choose one of the following encryptions: WPA, WPA2, WPA/WPA2, Open (no encryption). * Disable communication between clients (client isolation). * Internet sharing methods: NATed or Bridged or None (no Internet sharing). * Choose the AP Gateway IP (only for ‘NATed’ and ‘None’ Internet sharing methods). 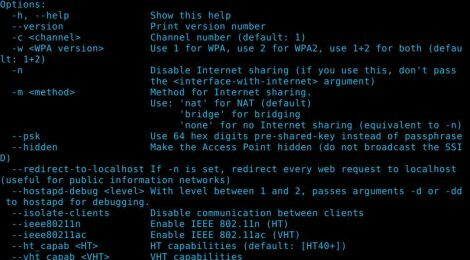 * You can create an AP with the same interface you are getting your Internet connection. * You can pass your SSID and password through pipe or through arguments (see examples). ← Whitewidow v1.0.6 is an open source automated SQL vulnerability scanner.